If you’re the planner of a high school event, first of all….may we applaud you for your courage! We know that this type of event can be overwhelming. Even though your students are a somewhat captive audience, they are still in some ways your clients, you want to know they’ll have a good time! How can we ensure that a party full of teenagers stays safe and fun for attendees, without stressing out the organizers? Bizar Entertainment is here to tell you…there is a way! The key to smooth sailing is to identify potential issues early. What are your biggest concerns? Appropriate dancing? Language used in music? Crowd control? Once you answer that question, you can then form a plan to overcome it. The best defense is a good offense! 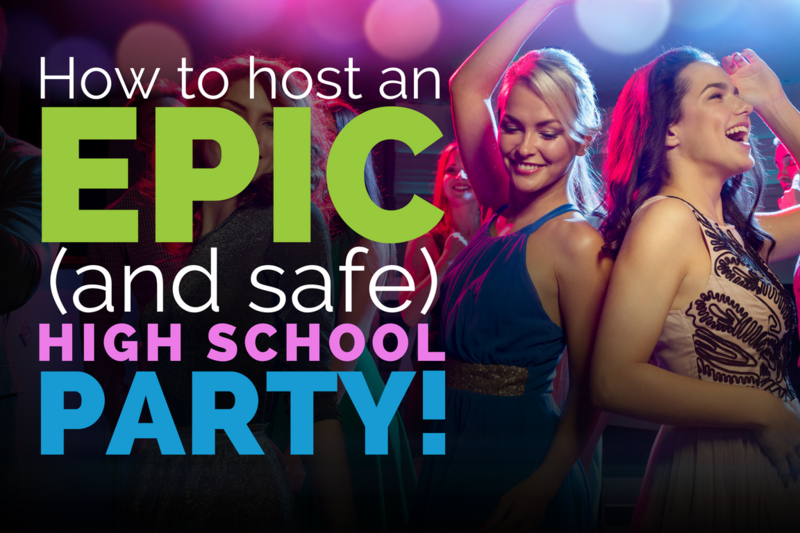 Here are our top tips to create the perfect high school party environment. An easy way to encourage an appropriate environment is to cater it to your students’ tastes. The more invested they are in the success of the event, the easier it will be to control. Theming: A strong theme can go a long way for a high school event. Use a theme to create an interesting and fun story for the party. Create anticipation through the use of strong storytelling and impactful theming. Costume contests? Incredible decorations? Giveaways? All great ideas! The reality is, while high school events have a lot of expectations, students come because they want to have a good time! Once you have them in the door, you’ve already done half the work. Now it’s just about maintaining control over the environment. So, how do we control the environment without making the event seem…for lack of a better word…lame? It’s more possible than you would think. Music: For an air of appropriateness, it’s important to avoid songs that are about drinking and other adult activities. But, you don’t want to entirely drop popular songs, right? An easy solution is to find as many clean (“radio edit”) versions of popular songs as possible. Additionally, if a live mic is involved…DON’T PASS IT. Keep it in the hands of the professionals. Dancing: Set standards of appropriate dancing early – make “no grinding” or “no crowd surfing” policies explicit to students before the event. Another way to control dancing is to encourage your Emcee to do light crowd control with group and line dances. It’s a lot easier to moderate these awkward instances when it comes from the Emcee leader and not from a chaperone. Focus on the Good Stuff: Distraction is a powerful tool and can be a positive way to avoid a lot of negativity. Consider planning fun additions that will keep them buzzing, entertained, and not so focused on the “rules.” Ideas include games, food, even the DJ taking music requests can energize the crowd. Bizar staff are trained to play appropriate music that is still fun and modern. Our staff will keep an eye out for bad behavior, and change the music if necessary. Bizar events will often have both a DJ and an emcee. (We are also happy to provide a staff member to be an on-floor chaperone.) Our emcees are trained to be fun and friendly authority figures, and have no problem playing bad cop if necessary. These elements combine to offer what we call the Bizar Difference. Together, we can create an event for your high school group that is safe, appropriate, and above all fun. Contact us today!